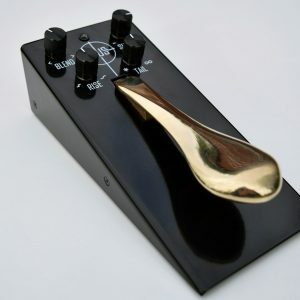 Gamechanger Audio are a small company specialising in guitar effects pedals. Their commitment to exploring the uncharted territories of music electronics shows in the products they produce. Their ultimate goal is to create devices that provide real value whilst stretching the imagination of both musicians and engineers. Gamechanger Audio's journey begin in 2015 with the early development of the PLUS Pedal. They launched the PLUS pedal at Winter NAMM 2017 and have seen a huge amount of success with it. The PLUS Pedal's success has since led to Gamechanger Audio expanding their product range with the inclusion of the brand new PLASMA Pedal.